This proved to be another record breaking meeting with five gallant CC#2 speakers with “right thinking” and “positive” attitudes who presented such well-prepared and well-researched speeches. We were privileged to have Shirley Bak, DTM, our club advisor as the General Evaluator for this meeting. ASA, Irene Han called the meeting to order at 7.22pm. Kudos, Irene! President, Jeannie, ACS, CL, reminded us to always exercise the “right thinking” with “positive” thoughts, then everything will fall into its rightful place. We shall always adhere to this, Jeannie! TME, Dr. Ravi, efficiently, effectively and excellently managed the whole meeting which ended on time as per our meeting agenda. Well done, Ravi! Invocator, Sam Koh narrated about a tree that bore two types of fruits, namely, “positive” fruits and negative fruits, and by “right thinking”, where our mind goes, our life will follow. That was very inspirational, Sam! The Table Topics and Humour sessions were cancelled for a speech marathon session. First speaker Tham Yen Lai in her CC#2 speech titled, “Saving” informed us about the benefits of inculcating a saving habit with a “positive” attitude and “right thinking” in order to provide for our old age. Wonderful advice, Yen Lai! Her evaluator, SK Ratnam, DTM was happy with her speech which met the objectives, and he stated that he would like to hear more about how to manage savings with credit card expenditure. Thank you, SK! Second speaker, Nicholas Khoo presented a very well-researched, informative speech in his CC#2 speech titled, “The oil palm” outlining the introduction of this commodity to Malaysia until its attainment of the lofty status in our country. Admirable job, Nicholas! His evaluator, Jeannie, ACS, CL was impressed with his thoroughly researched, informative and educational speech. Thank you, Jeannie! Third speaker, Alan Fung in his CC#2 speech titled “Are you a good leader?” explained remarkably well that leadership is a form of art, therefore the most appropriate answer should come from not the purported leader but the team. You are right, Alan! His evaluator, Mohmmad Muslim was captivated by his rousing and stimulating speech. Thank you, Muslim! Fourth speaker, Sam Koh in his CC#2 speech titled, “Can you click with people?” elaborated on two types of communication methods, namely, verbal and non-verbal communication with five points each which helped us to successfully establish friendship. Good advice, Sam! His evaluator, Pun Yew Kee, CC was astounded with his amazingly edifying speech. Thank you, Yew Kee! Final speaker, Victor Guijo shared the magnanimity of God and Love in his CC#2 speech titled, “How to move your mountains?” that by having “right thinking” and being “positive” in whatever activities we were engaged in, in our daily lives, our problems will be overcome by directing our own cause in our destiny. You are definitely a motivational speaker, Victor! His evaluator, Ken Koh, ACB was totally amazed with his intensely stirring and awe-inspiring speech. Thank you, Ken! Again, the Best Speaker was Alan Fung and the Best Evaluator was Mohmmad Muslim. Congratulations, Alan and Muslim! Ah Counter, Joanne Kuek presented a concise word crutches report which resulted in some funds for our club. Fabulous job, Joanne! Kwa Ngan Eng, DTM was a good listener and captured all the good and creative usages as well as all the wrongful words and sentences in her Grammarian report. Splendid job, Ngan Eng! Timer, Sheffa was very attentive and provided an excellent timing report of the whole meeting! Magnificent job, Sheffa! The Listening Evaluator, Karren Lim produced ten immensely intricate questions whereby only Sam Koh had seven all correct answers, therefore nobody was awarded the Best Listener. You are an excellent listener, Karren! General Evaluator, Shirley Bak, DTM, was grateful for the opportunity to be the General Evaluator for this meeting and she appreciated all the club members who took up roles and did their speeches so readily. She hoped that all will continue in this spirit and helped our club to rise to greater heights. Thank you, Shirley! In closing, President Jeannie, ACS, CL reminded that our Club Officers’ Installation Night will be held on 1st August 2015 at 6.30pm at Bliss 33 Café, No. 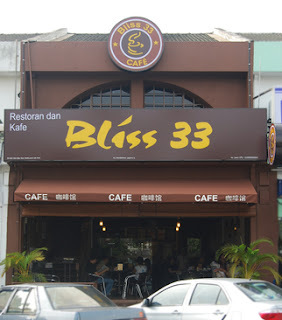 31-33, Jalan USJ 2/2C, 47600 Subang Jaya. She informed that there is a High Performance Leadership Workshop by Division C on 28 June 2015 at 12noon at Room NW-4-2, Sunway University College. She also informed that there is a Team Building Event by Division C in Genting on August 8-9, 2015. Finally, as this was the last regular meeting of her term as Club President, she hoped that all will continue to give their continued support to the incoming team and helped our club to reach the next pinnacle of success. See you at our first meeting for the term 2015-2016 on 1 July 2015! We broke another record with thunderous applause for our three Ice Breaker speakers at this meeting, “getting them out of their comfort zone” and making them shine as new and “innovative” public speakers. We were very glad to have Kwa Ngan Eng, DTM, our senior club member as the General Evaluator for this meeting. We hereby welcomed our guests, Lenny Lim and Mrs Yeo with her three children, Kah Wen, Kah Ni and Zhen How to our meeting. ASA, Karren Lim started the ball rolling at 7.22pm, calling the meeting to order. Well done, Karren! President, Jeannie, ACS, CL, persuaded all to utilize public speaking as an “innovative” way to “get out of our comfort zone”, as the more we speak, the more confident we become until we are reluctant to leave the stage. Exceedingly well said, Jeannie! TME, Shirley Bak, DTM, encouraged all to introduce themselves by using the theme, “getting out of our comfort zone” which was an “innovative” introduction method. Well done, Shirley! Invocator, SK Ratnam, DTM inspired us with his “innovative” story to “believe in ourselves”. We were immensely inspired, SK! The Table Topics and Humour sessions were cancelled and replaced by an Evaluation Workshop by G. Sivalingam, DTM who shared many, very valuable tips on effective evaluation which proved helpful not only for evaluating speeches in our meetings but also prepare us for the upcoming Evaluation contest. He also reiterated that as evaluators, we must take down notes as “the strongest memory is weaker than the palest ink”. Thank you, Siva, we shall always remember that! Coincidentally, Sam Koh presented CC#1 titled, “Believing in yourself” by describing how from a “slow learner”, starting to talk only at the age of 5 to his position of “Trade Marketing Manager” today, he had subjugated so many struggles, obstacles and adversities to be what he is today. Bravo, Sam! His evaluator, Ken Koh, ACB was impressed with his tough, durable and resilient character to brave all storms to achieve success in life and was truly mesmerized with his speech. Thank you, Ken! Second speaker, Joanne Kuek in her CC#1 titled, “My story, my life” explained how by having a “nothing to lose to work extra hours” attitude helped her to prevail in her working life and earned her job promotions. You deserve it, Joanne! Her evaluator, Pun Yew Kee, CC was awed with her systematic and organised Ice breaker speech. Thank you, Yew Kee! Third speaker, Alan Fung gave a magnificent speech on how he triumphed against claustrophobia and fear of public speaking by “getting out of his comfort zone” and “always do what we are afraid to do”. Very well spoken, Alan! His evaluator, Mohmmad Muslim was enthralled with his stirring speech, foreseeing a great speaker in the making. Thank you, Muslim! The Best Speaker was Alan Fung and the Best Evaluator was Mohmmad Muslim. Congratulations, Alan and Muslim! Ah Counter, Muhammad Akmal conscientiously presented the word crutches report which reaped extra funds for the club. Superb job, Akmal! Nicholas Khoo presented a fantastically well done Grammarian report which earned the praise of all. Brilliant job, Nicholas! Timer, Tham Yen Lai was efficient and effective in her timing report of the whole meeting! Wonderful job, Yen Lai! The Listening Evaluator, Victor Guijo produced ten daunting questions which did not overwhelm Jeannie, ACS, CL who got all ten correct answers and was awarded the Best Listener. Terrific job, Victor! Congratulations, Jeannie! General Evaluator, Kwa Ngan Eng, DTM, revealed that the strength and stability of our club was due to the strength of President Jeannie ACS, CL who took up most of the club officers roles and responsibilities unflinchingly, which otherwise also proved to be our weakness as there was total reliance on an individual. She hoped that the next term club officers will work as a team and put in their efforts collectively to ensure a continuously strong club. Thank you, Ngan Eng! In closing, President Jeannie, ACS, CL informed that our Club Officers’ Installation Night will be held on 1st August 2015 at 6.30pm at Bliss 33 Café, No. 31-33, Jalan USJ 2/2C, 47600 Subang Jaya. All are encouraged to attend this once a year enjoyable, fulfilling and experiential club event. See you at our last meeting for the term 2014-2015 on 17 June 2015! Till then bye-bye!